This week at the box office Disney is hoping its live-action remake of Dumbo will kick start a new wave of Disney classics while Matthew McConaughey starts in The Beach Bum as a revolutionary & inebriated poet. Disney has never really been known for its creativity. It’s taken fairy tales, historical figures and works of fiction in the public domain and turned them into money-making classics. So, it seems insane that it’s now going back and remaking those movies. You would think that a remake of Dumbo with Tim Burton behind the camera would be perfect. But just like almost every Disney remake before it, the tale of a flying elephant with big ears ends up being forgettable. It’s not a bad movie. The story is new, the characters are likable enough and who doesn’t enjoy watching a cute elephant sticking it to the man? But there’s nothing special about it, which is weird to say about a movie that’s about being special. If Disney is going to keep remaking its own movies, it needs to give audiences something they’ve never seen before. Why would they watch the live-action Lion King over and over, when they can just watch the original? If you've never watched a Harmony Korine movie, The Beach Bum is going to be like some bizarre fever dream lost in a space capsule for you. 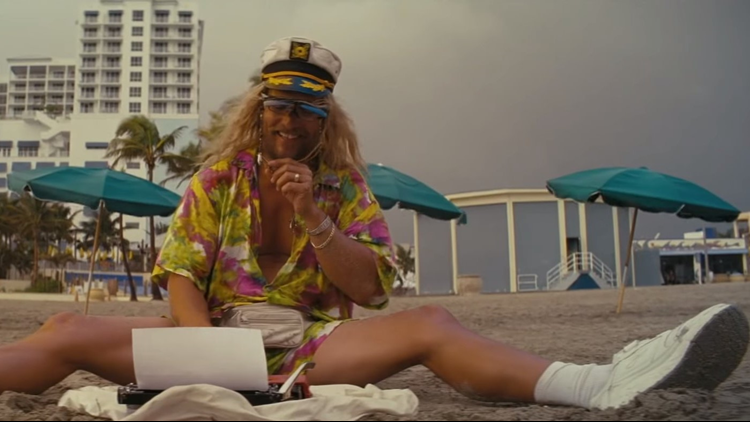 In The Beach Bum, Matthew McConaughey stars as Moondog a very drunk, very high revolutionary poet who struggles to write his next literary classic. The plot could be explained to you but the plot doesn't matter. What really matters is how Moondog interacts with other characters in the film. For example, there's an awesome sequence with McConaughey and Zac Efron's character, who seems to be stuck in the early 2000s and loves Creed.